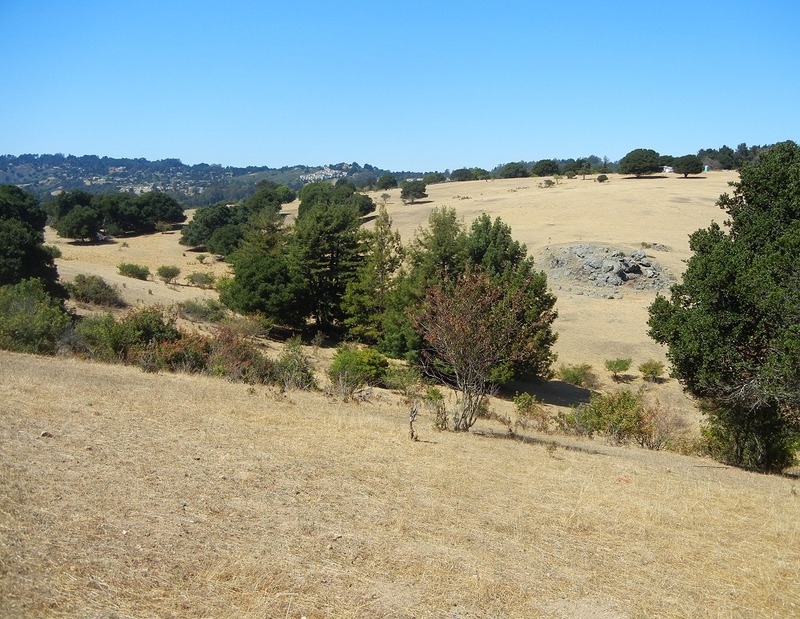 The neighbors of Knowland Park have something special in their midst: a large stretch of relatively untouched land of the Oakland Hills. If you’ve never been up there, it’s easy to dismiss it. It’s exclusive. You need a car, and there aren’t any big entrances and signage. Only one bus line (the 46L) goes through it at all, and that’s only once an hour. But I urge you to make the effort some time. There’s nothing else like it anywhere north of Hayward. Here’s a glimpse, looking over the upper part of the park toward the highest hills (click for 1000 pixels). Some psychologists say that land like this hits a deep, atavistic spot in the brain that’s tuned to our ancestry in Africa. It’s worth testing that hypothesis for yourself. 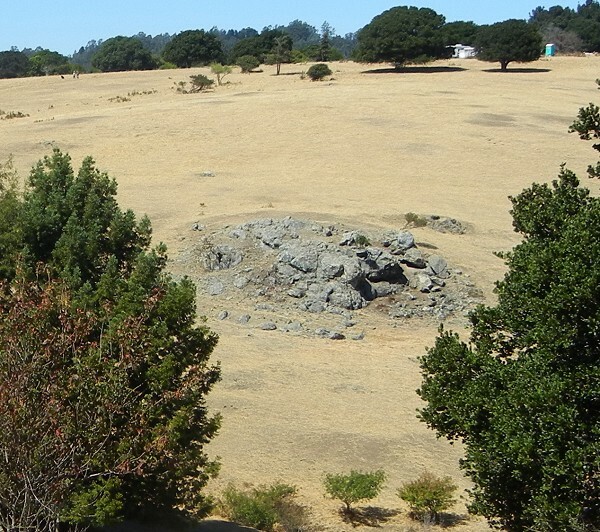 The Friends of Knowland Park are fiercely protective of this land, but one thing they don’t mention is that much of it is underlain by Franciscan melange, unlike anywhere else on this side of the Hayward fault. We’re looking at it—and see here on the right-hand side: a big old outcrop. This entry was posted on 27 July 2015 at 8:03 am and is filed under Franciscan rocks. You can follow any responses to this entry through the RSS 2.0 feed. You can skip to the end and leave a response. Pinging is currently not allowed.